After more than 2 years trials Kiwiseeds are proud to present the 'Little Dipper'. Due to the huge popularity of our Milky Way strain, Kiwiseeds only thought it right that this would be the one to breed into an Auto flowerer. Using Lowryder #2 from Joint Doctor and our very own Milky Way mother, we think we’ve done a good job. It wasn't easy to get the right balance but we think this will impress even the most experienced Indica smoker! 9 weeks flowering from germination to harvest. Loads of crystals and a full heavy ´Milky Way´ bud-set! Enjoy. 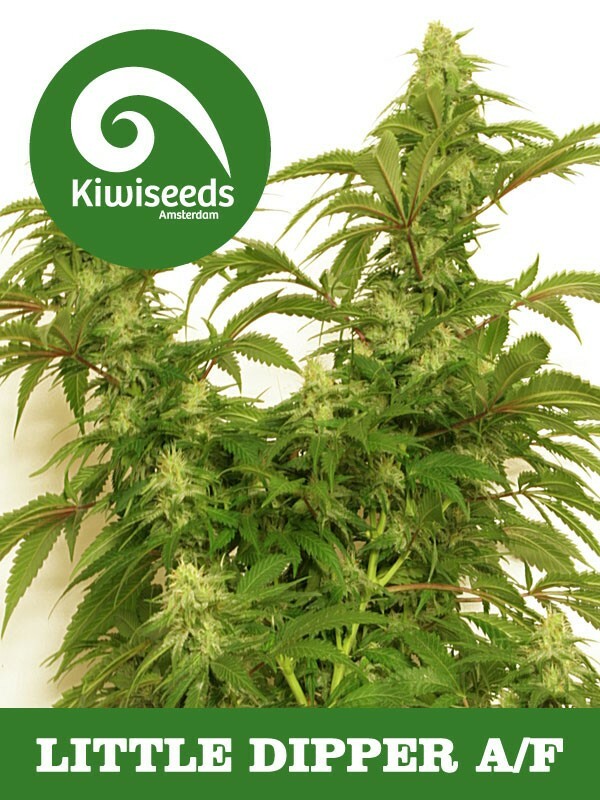 After more than 2 years trials Kiwiseeds are proud to present the 'Little Dipper'. Due to the huge popularity of our Milky Way strain, Kiwiseeds only thought it right that this would be the one to breed into an Auto-flowerer.